eBay counterfeit rings who sell fake flash memory are tracked by members of the investigative team in the FrankenFlash project. The Singapore counterfeit ring continues to be a serious concern for both SOSFakeFlash and FakeMemorySentinel. This fraud ring is highly organized. Investgator code name Spookie, has decided to reveal to TechReporters at FakeFlashNews how the eBay Singapore ids set up eBay members to become victims of fake flash memory. 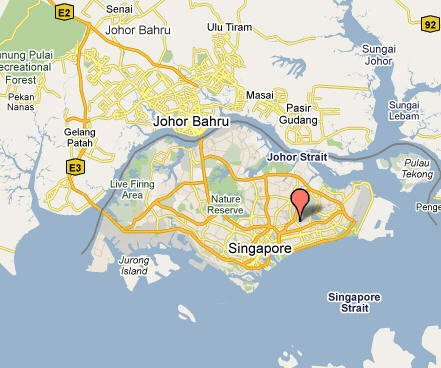 I have been able to track the Singapore gang by the feedback leave. They are using manipulated feedback to increase their feedback score. They can be identified by what they start off selling, mostly Nokia batteries, sometime they sell 4gb usb flash drives, jewelry, and other cell phone batteries. Let’s take a look at illusionmagic2010, a member of the Singapore gang who has had his feedback manipulated and sold a lot of fake flash drives. This is a copy of his negatives thanks to toolhuas.org. (Toolhaus is an easy way to look up a seller or buyer id). He has received 12 negative reports for flash drives. Take a look a jeepcar3, bankbakk, and furrywoofz, these are accounts that they are using to manipulate feedback. jeepcarl3 has a feedback score of 2 but has left feedback for 20 different sellers. He left feedback for the following sellers. (The sellers highlighted in red sold fakes. Sellers that are strikethrough are no longer registered). There are 11 sellers of fakes tied to this account. bankbakk has a feedback score of 2 and left feedback for 44. There are 5 sellers of fakes tied to this account. furrywoofz has a feedback score of 1 and has left feedback for 24 seller again buying batteries. Three of the sellers he has left feedback for have sold fakes. This list of Singapore eBay sellers who have received fake positive feedback or are suspected of being one of the Singapore gang id’s. The sellers highlighted in red have sold fake flash drives, yellow highlight are one’s that have had their information erased by eBay, and strikethrough (strikethrough) are no longer registered. Do not buy any flash drives from any of these sellers. Learning About Fake Memory. Lernen über gefälschte Speicher. Información acerca del falso memoria. Lære om falsk hukommelse. Kujifunza juu ya kumbukumbu ya uongo USB. ← Learning About Fake Memory. Lernen über gefälschte Speicher. Información acerca del falso memoria. Lære om falsk hukommelse. Kujifunza juu ya kumbukumbu ya uongo USB.